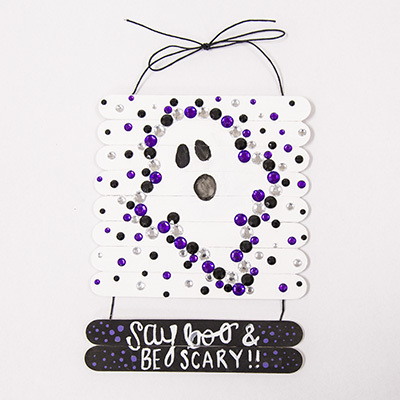 Decorate for Halloween with this fun gemstone ghost hanging sign! 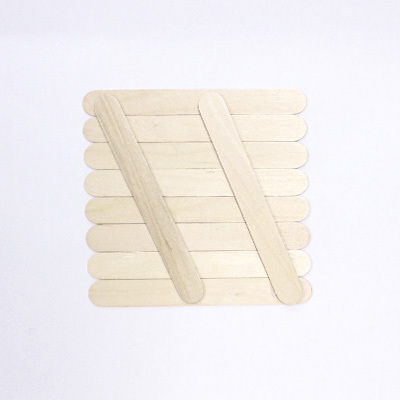 Glue 8 jumbo craft sticks together. *Tip! 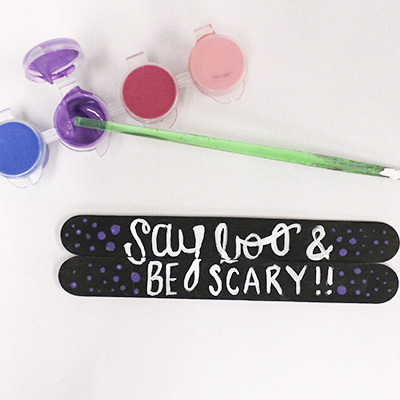 * Glue craft sticks to the back of the jumbo ones to easily secure them together! 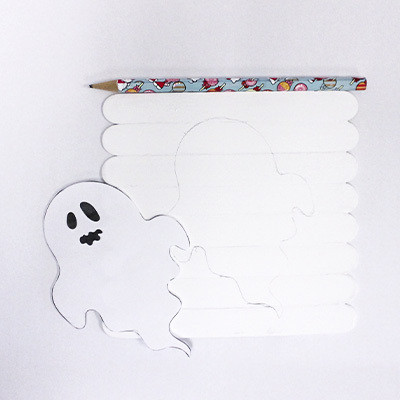 Print out a ghost printable from our Ghost Shadow Puppets project. 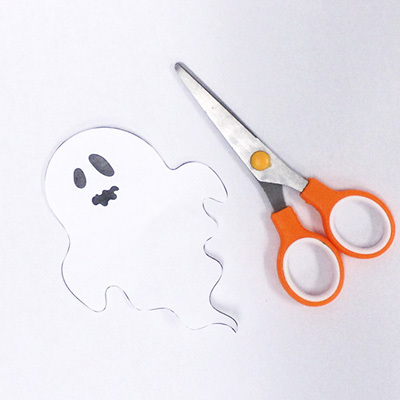 Carefully cut out your favorite ghost. 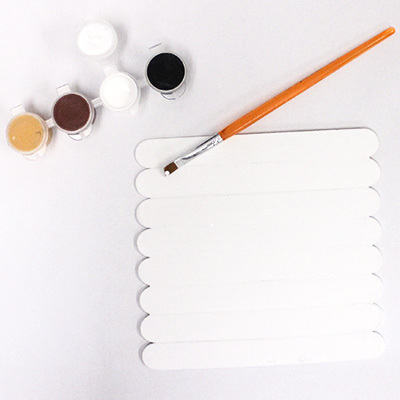 Paint the craft sticks white. 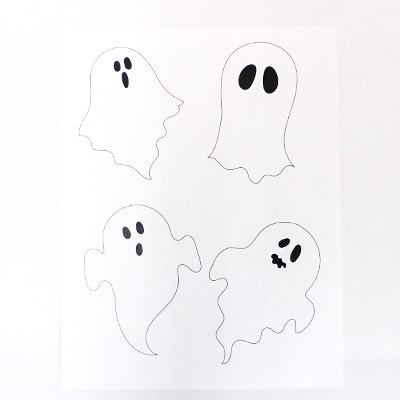 Trace the outline of your ghost. 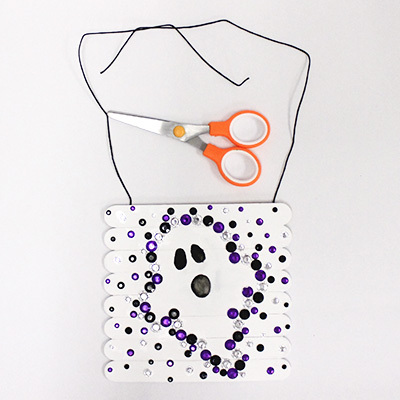 Begin gluing purple jewels around the outline of the ghost. 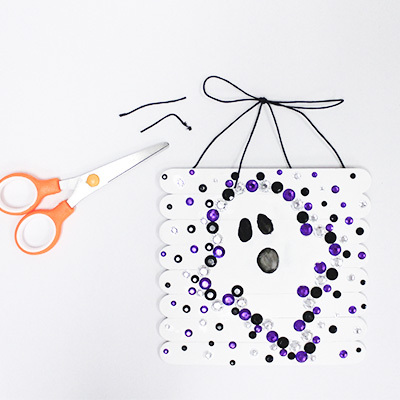 Complete the ghost outline with black gemstones. 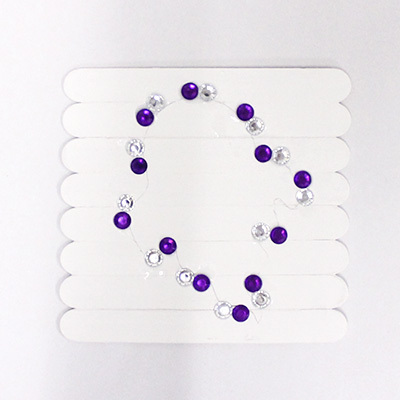 Decorate the rest of the sign with various size and color jewels. 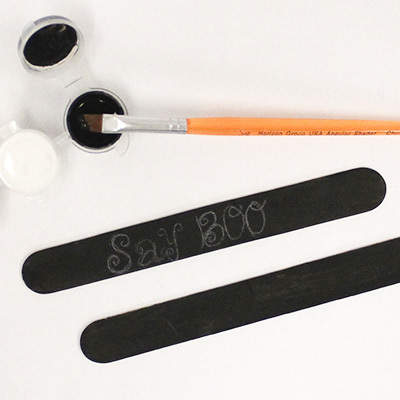 Paint 2 jumbo craft sticks black. 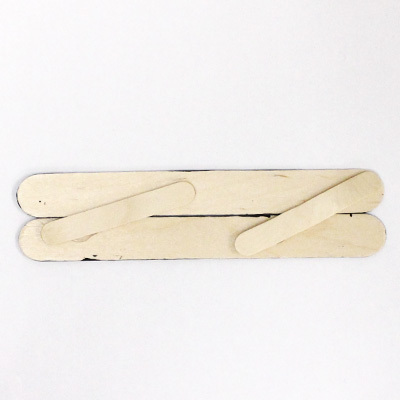 Glue them together using 2 mini craft sticks. Cut 12 inches of cording and tie a knot at each end. 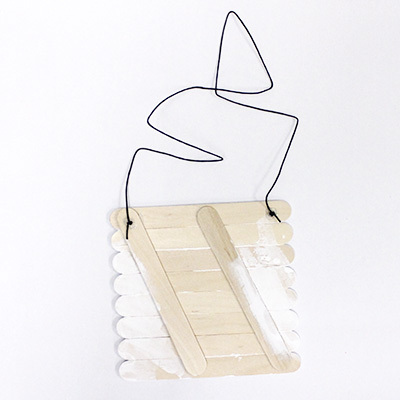 Glue cording to the back of the sign. 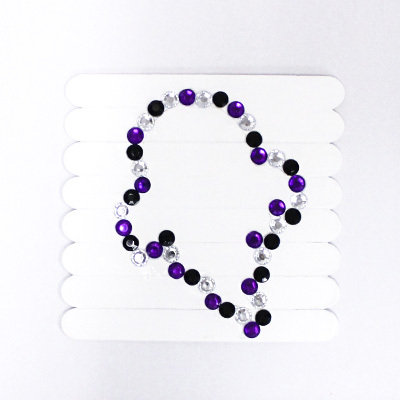 Cut the cording at the center and tie together. 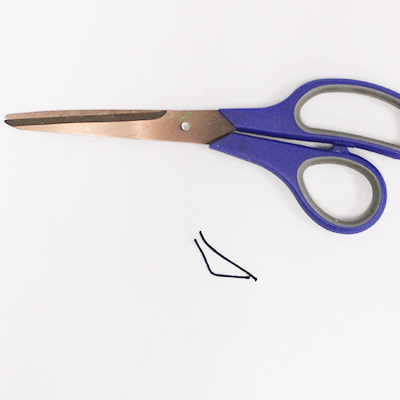 Tie the cording into a bow. 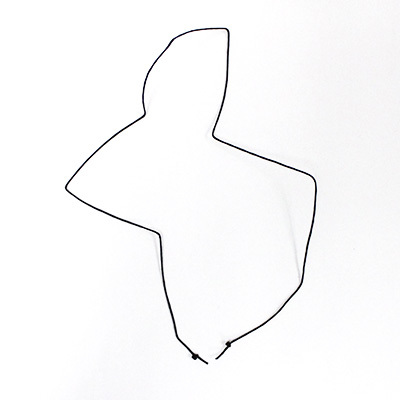 Cut off any excess cording from your bow. 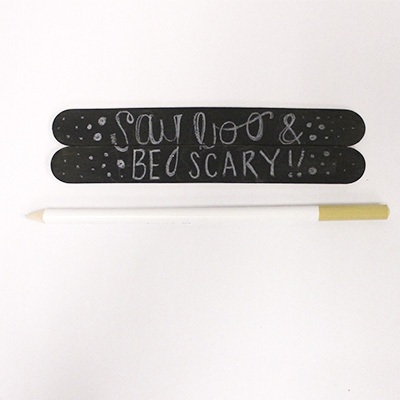 Use a white colored pencil to write a message on your sign. 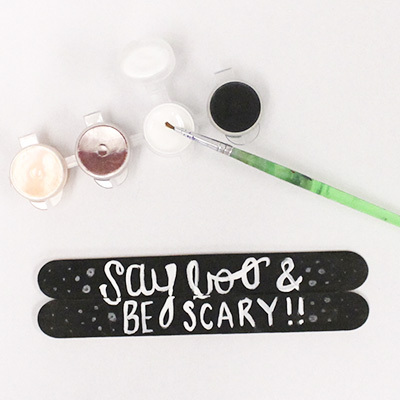 Paint over your message with white paint. 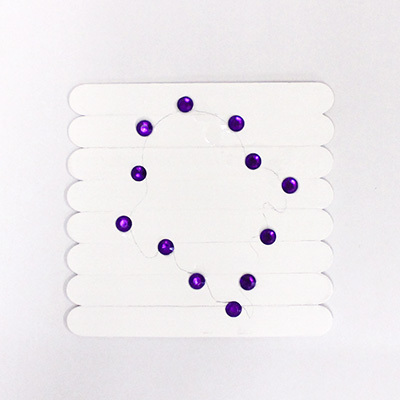 Paint purple polka dots around your message. *Tip! 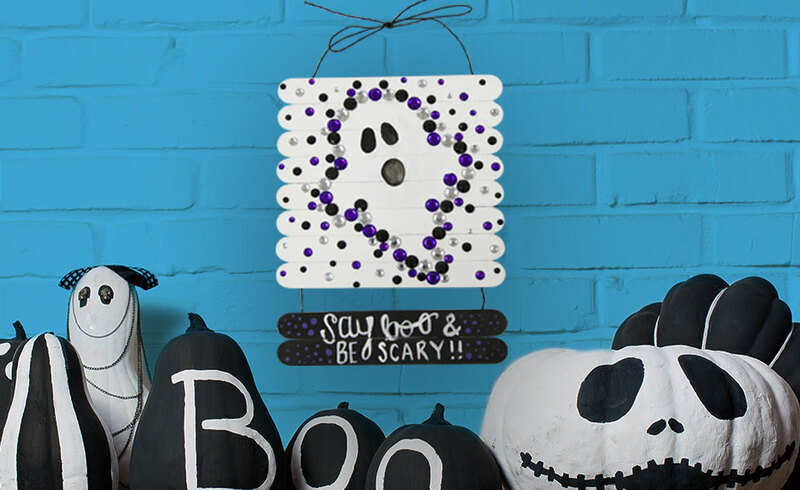 * Use the handle end of the paint brush to paint small dots. Cut 2 small pieces of cording, about 1 inch long. 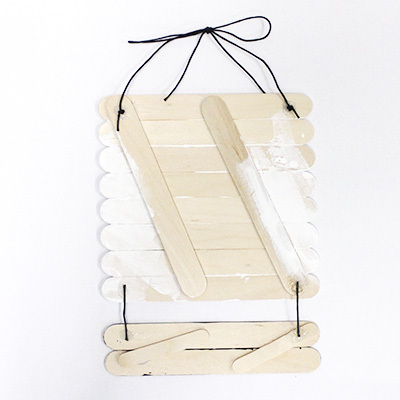 Attach the message to the bottom of the sign by gluing them together via the 2 small cording pieces. 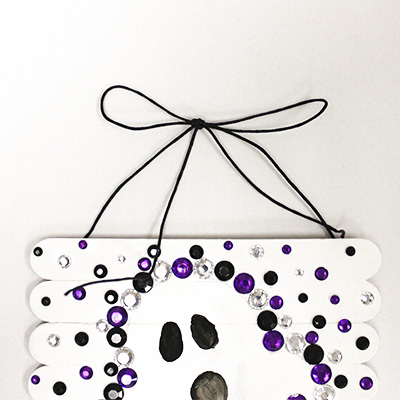 Your hanging sign is now complete and ready to decorate for Halloween!